Smead Pressboard Binder - 3" - 8.50" x 11"
PressGuard binder features a Tyvek hinge and fastener to neatly bind and cover presentations, reports, manuscripts, proposals or other documents that require loose-leaf style binding. Two-piece style cover compresses material tightly to reduce bulk. Fastener compressor holds the report tightly together without damaging the document or the binder hinge. Matching colored Tyvek hinges give the cover a professional appearance while aiding in color coding. 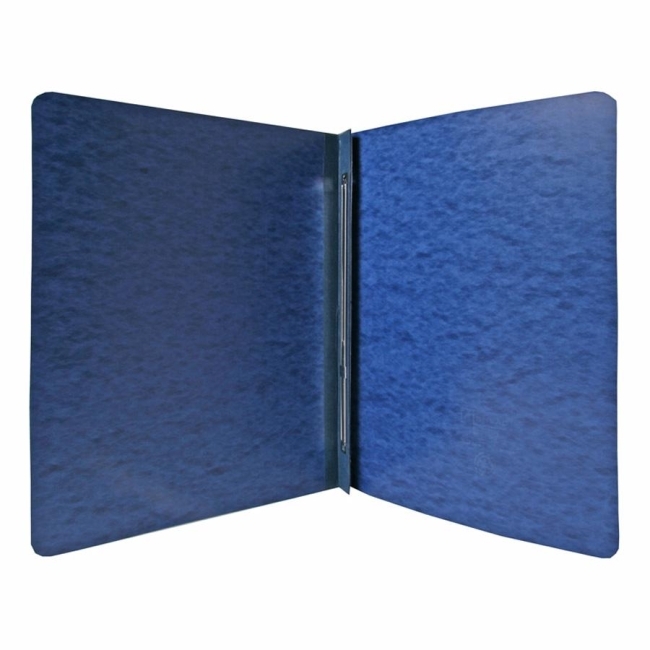 Binder is made of heavy-duty 20 point PressGuard stock with an embossed leather-grain finish. Coated to resist moisture and stains. Fastener dimensions are center-to-center (C-C). Binder includes metal twin-prong fastener with compressor. Contains 60 percent recycled material with 30 percent post-consumer material.